The Freelance Lifestyle answers YOUR questions this Thursday at 7.30pm! This week’s Freelance Lifestyle Tea Break Challenge is a bit of a different one. If you’re on my mailing list, you’ll know that I emailed all my subscribers this morning with a FREE copy of the 30 Day Freelancing Challenge ebook. I did this for two reasons – 1) I really appreciate it when people take the time to sign up to and read The Freelance Lifestyle and 2) I get a bit ridiculous when the sunshine comes out. Anyway, I wanted to follow that up with a Google+ hangout to answer any questions you might have about freelancing. It’ll be an hour long, and streamed live to YouTube, so if you miss it you can catch up there. Want your question answered? You’ve got a few options. Leave me a comment on Facebook. Or by dropping me an email! I’ve recorded a three minute Freelance Lifestyle Tea Break Challenge below to go over the details. 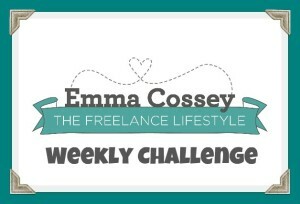 This week’s Freelance Lifestyle Tea Break Challenge is about something a lot of freelancers worry about. We spend hours trying to deal with it. It’s one of the biggest problems freelancer face. It makes us envious of those that get a set payday every month. Chasing clients for payments is one of the most frustrating parts of being freelance. Chances are, you’ve heard a dozen different excuses as to why a client doesn’t pay on time. But there are two steps you can take to either improve the speed of their payment, or discourage late payers. When I put these two steps into place, 60% of my clients started paying my invoices within one week of receiving the invoice. These were clients that previously avoided paying my invoices within 30 days – so this made a big difference to my business. Do you use these two steps? What results have you seen? 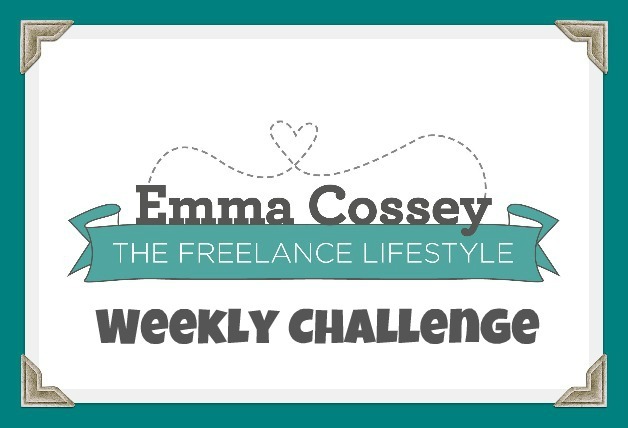 One of the things I’ve loved doing here on the Freelance Lifestyle is the weekly challenges. I’m a big fan of setting little personal challenges, and it’s great to see many readers enjoying them too. One of my personal challenges this year is to do more public speaking. 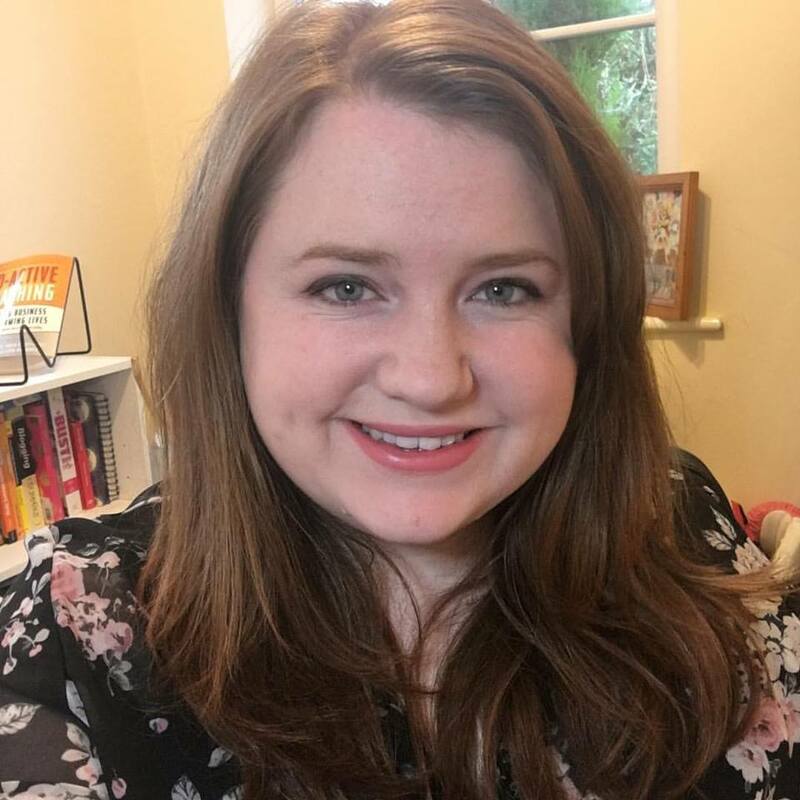 I’ll be speaking at Cybher in June, but I want to get a little more YouTubing under my belt too. So, I’ve turned the Weekly Freelance Lifestyle Challenges into the Freelance Lifestyle Tea Break Challenge on YouTube. They’re just three minutes long, so you can watch them during your tea break. I’ve done a few YouTube things before, but this is my first proper move into it for The Freelance Lifestyle, so please be kind! Any constructive tips are more than welcome too. This week, I’m talking about the old school SWOT analysis, and how it can help your business. Fancy taking part? Comment below with how you’ve got on with this challenge, let me know on Twitter using the hashtag #teabreakchallenge or send me a video response! Happy new week everyone! I don’t know about all of you, but the last couple of weeks have been a bit dark and dull for me. Being stuck indoors with the snow hasn’t really helped. But yesterday’s burst of sunshine has got me excited about work and life again. This week, I want to talk about creating a freelance network. One of the things about freelancing, is that you can develop a wide range of skills for business. You can focus on social media and blogging (like me), but develop skills in PR and graphic design too. Creating a freelance network can increase your referrals, give clients a better service and give you a lovely support network for when you’re struggling with a freelance issue. So, this week, the challenge is to contact one other freelancer who offers a different service to you, and ask if you can refer any relevant work to them in the future. Hopefully, they’ll return the favour! Do you have a freelance network? The end of the year is a great opportunity to take stock and decide what to do in the coming year. For me, it’s been a feast and famine year. I lost three main blogging clients in the space of a month thanks to budget cuts, which led to me looking at what I’m currently doing and readjusting it. After listening to Tim Ferris’ 4-Hour-Work-Week, I realised the bulk of my income was coming from social media work, but the bulk of my time was spent doing blogging work. 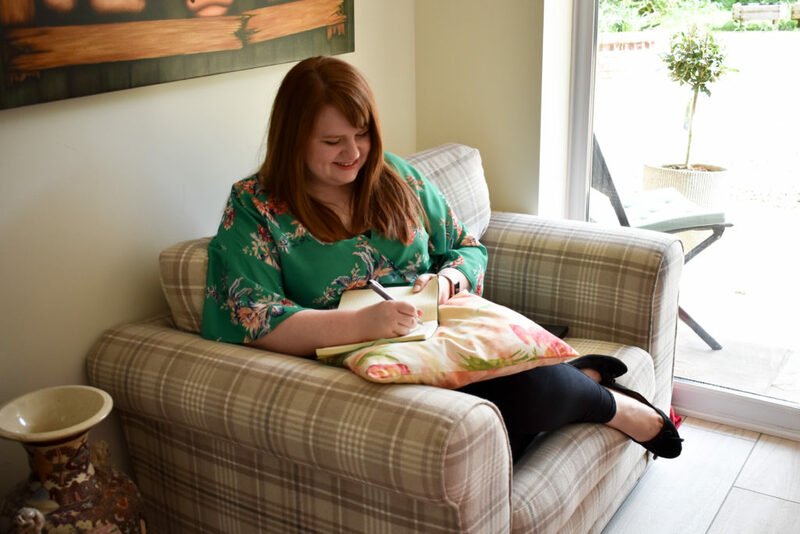 I was working evenings and weekends trying to keep up with blog posts, when I could take on half the number of social media clients for at least the same amount of income – and have time to dedicate to other things. Fairly important in particular this year, with a wedding to arrange in April. Additionally, I found my passion in 2012 sat with social media, so it seemed like the most logical move. As a result, I now have more time to blog for sites I really love, like Dork Adore and The High Tea Cast, as well as The Freelance lifestyle. I’ll also have the time in 2013 to work on some projects I’ve been dying to do. So, my challenge to you for the first week of 2013 is to work out where your income is coming from, and how hard you’re working to get that income. Are you working all the hours you can find for something that isn’t particularly lucrative? Is there another way you can work, or another income stream you can investigate? Fill in the tasks you do regularly in the Current Tasks section. 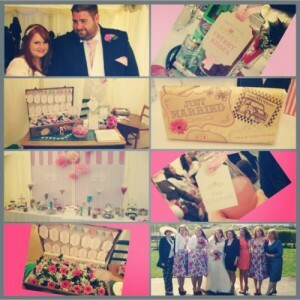 For instance, you might blog, carry out social media management and graphic design for your clients. 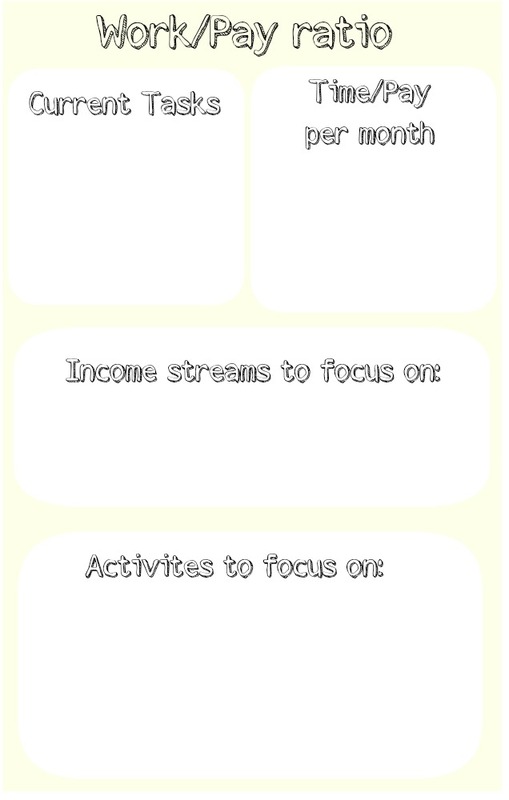 Fill in the time you spend and the income you earn for each of these tasks in the right box. This should give you a better idea of which tasks are better to focus on. Write these tasks in the third box, and include any additional income streams you might think of (for example, teaching or ebooks). Finally, fill in all the things you would do if you have time, in the final box. These could vary from volunteering to spending more time with family. The reason I’ve added in the last section, is because I know most freelancers don’t just work for the money. However, it’s easy to fall into the habit of working for work’s sake. By stating achievements OTHER than work that you want to fulfil, it gives you something to focus your efforts on so you’re working to live – not living to work. Are you re-adjusting how you work this year? What do you want to do aside from your freelance work? Leave a comment to let me know what you’re hoping to achieve. How much of your day do you spend dealing with emails? If you’re anything like me, you spend far too much of it reading and deleting – particularly the latter. Some of it isn’t controllable – as a blogger and journalist, 50% of my emails are press releases. But other bits can be removed or redistributed elsewhere to deal with. Unsubscribe from the ones you no longer read. You can either do this as and when you get them, or leave your inbox for a couple of days and unsubscribe from a whole batch. Most emails have an unsubscribe button at the bottom. If not, drop the sender a quick email to ask if they could remove you from their list. Set up some email filters. Check out my post on setting up email filers to find out how. I’ve got filters for daily deals, LinkedIn alerts, Google Alerts and sale alerts (the latter is more about saving my money than my sanity). Got 400 unread emails from earlier this year? Delete them. If you haven’t read them by now, you probably never will. And if they were really important, someone would have followed up on them by now. Delete, delete, delete. While you’re in your email, have a look at your signature. Is it up-to-date? I rather like WiseStamp for this. What’s your inbox detox plan?